Guess what? I'm not a bad babe this month! Well, let me rephrase that, I'm not a bad, bad Babe this month. that the fantastic Gretchen of Canela and Comino, our host kitchen, brought back from her beloved Peru. But, apparently, not only are the golf gods not smiling on me but the yeast queen has deserted me as well. Earlier this month, Sara, Stephanie, and I got together on Skype on the only night for the past several weeks that I have had time to bake for a marathon night baking session. Because of my crazy 60+ hour weeks of the past month and a half, I had not only a cherry tart/turnover to mess up (more on that in the future) but I also totally screwed up a remake of twelve grain bread and Gretchen's lovely Tanta Wawa. I'm sure it wasn't the recipe, even though Gretchen and others did report that dough was very dry. I'm absolutely positive it wasn't the flour or even the fact that I was desperately skyping back and forth with my girls about the failure of my turnover dough. Nope, it was none of these things. I'm sure I'll never know but for some strange reason, my dough never relaxed enough for me to do anything with it. It just lay there in it's little round, tight shape taunting me. Daring me to try and stretch it out into a fat, happy baby. Twelve hours later, I decided that it was never going to relax and I had to send the dough off that place where bad dough goes. Unfortunately, I haven't had time since to give the Tanta Wawa another go. But, hopefully, this week, I may find a bit of time one evening to see if I can get a lovely baby or two. Thanks Gretchen for a really different take on our bread of the month. To check out some more successful and adorable Tanta Wawa, go check out the other Babes in the sidebar. If you want to be a Bread Baking Buddy, check out what you have to do to make Tanta Wawa yourself at Gretchen's! 1. In a bowl combine 1/2 cup of flour, 1 egg, 2 T water, pinch of yeast and 1 T of sugar. Let that sit for a few hours. In a bowl, mix the flours, sugar, yeast, salt, cinnamon, cloves, and sesame seeds. Sprinkle over the sponge. 2. Add the 2 eggs and vanilla to the flour mixture. Measure the milk, water and butter in a measuring cup. Heat for 30 seconds in the microwave, pour into the flour mixture. Mix well then turn out and knead for 10-15 minutes, using additional flour if necessary. 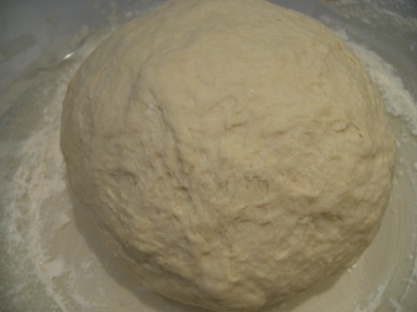 Divide dough into 4 portions of 250g each. Form them into ovals. Cover and let the dough rest for 10 minutes. 5. Brush the egg yolks over the dough babies. Bake at 180C for 30 minutes. A Hat Trick of Appies to Open "The Season"